Volkswagen is desperately trying to go mainstream. I know that because their US market CEO is constantly announcing new volume targets, which primarily involves adding zeroes to earlier ones. 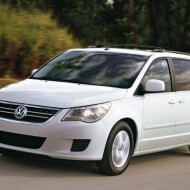 In its quest for more sales, Volkswagen decided to enter the minivan segment, which leads to our latest Ridiculous Rebadge: the Volkswagen Routan, which is little more than a rebadged Chrysler minivan. Very little more. You see, while the Honda Odyssey and Toyota Sienna vie for hard-earned cash from American consumers, the Chrysler Town & Country is primarily sold by the dozen to Hertz fleet buyers at 6pm on the last day of the month. Watching this from afar, did Volkswagen decide to develop its own van to take on Toyota? 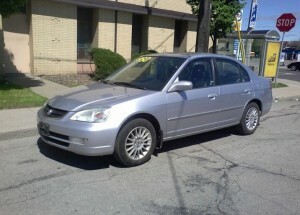 Or approach Honda to share parts? No. Volkswagen instead decided to team up with Chrysler, presumably to get in on the rental car action. 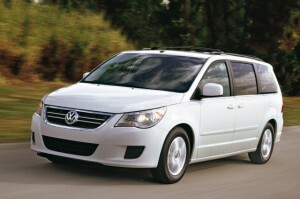 The results were predictable to everyone except Volkswagen, who advertised the Routan’s “German engineering” in TV ads despite the van’s Chrysler underpinnings and Canadian manufacture. 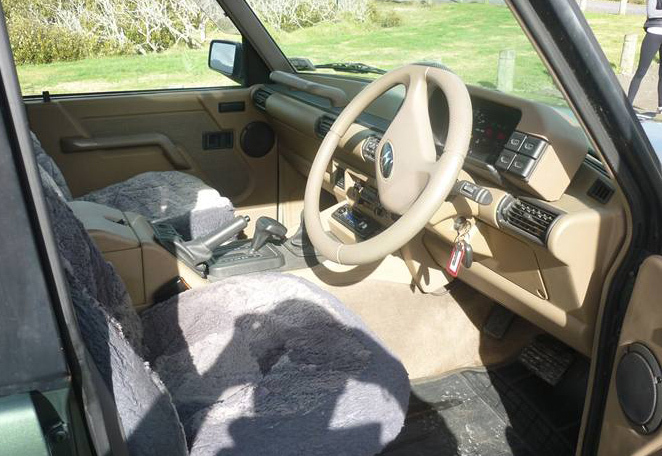 In reality, the only Volkswagen bits were the grille and some interior trim. All the rest was Chrysler, which is to say the cheapest stuff they could find. OK, that didn’t happen. But it should’ve. Canadians are polite. So polite, in fact, that there’s a popular YouTube video of a Canadian road rage fistfight that ends with the fighters shaking hands, watching hockey, and prank calling Americans from Tim Hortons to brag about free healthcare. OK, only part of that is true. Canadian manners are the only rational explanation for the latest Ridiculous Rebadge, which is a warmed over version of the Honda Civic sold in Canada – and only in Canada – as the Acura EL. My theory is that everyone in Canada knew it was badge engineered crap, but no one wanted to hurt Honda’s feelings by telling them. A few of the most polite Canadians even bought one, but only out of courtesy. Similar to the Acura ILX now sold in the States, the EL was pitched to Canadians beginning in 1997 as a luxury version of the Honda Civic. Except rather than adding actual luxury items like leather seats, Acura tacked on stuff like extra center console storage, an integrated antenna, and chrome interior door handles. The only visual differences between an EL and a Civic were new taillights, a revised front end, and – get this – new fifteen inch alloy wheels. 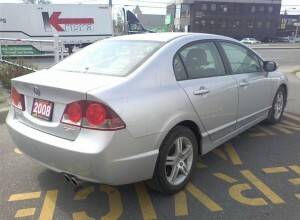 Stunningly, Canadians – no doubt wooed by the idea of rollin’ on fifteens – politely bought the EL in large enough numbers that Honda eventually sold a second-generation version based on the 2001-05 Honda Civic. It would be easier to make fun of Canadians for this if Lexus hadn’t been doing the same thing to Americans for the better part of two decades. 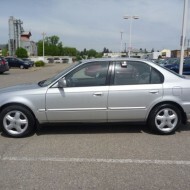 A third generation model came out in 2006, this time called the CSX to throw off Canadians who arrived at the conclusion that the EL was a Civic with a 15 percent price premium and a different grille. Of course, the same was true of the CSX, which was ditched at the end of the 2011 model year. There’s a lesson here. If you want to try to make it in the car business, go to Canada. They’re too polite to refuse. Imagine a Land Rover with Honda reliability. That would be pretty cool, wouldn’t it? 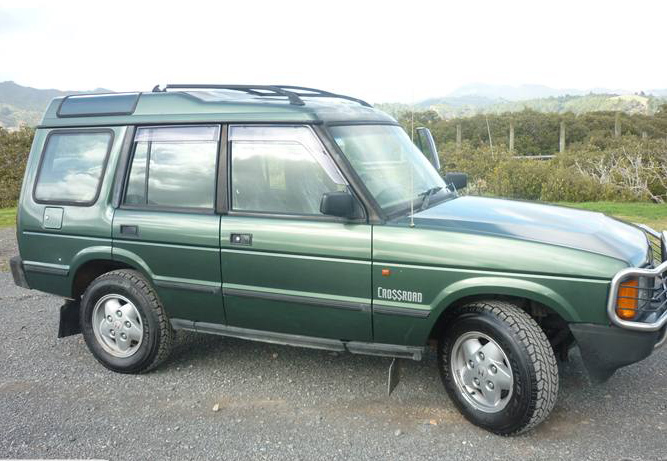 Each morning, wealthy trophy wives could drive their children to private school then go directly to Pilates without making their daily stop at the Land Rover dealership to check for rust. Or replace a differential. Now imagine the exact opposite: coupling Honda’s image for bland, mass-produced cars with Land Rover engineering, which annually leads the JD Power surveys if you read them upside down. If you’re anything like me – and you aren’t, because you don’t write a car blog from your parents’ basement – that’s enough to earn the prize distinction of being the very first Ridiculous Rebadge. 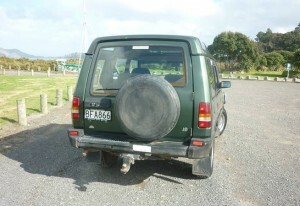 The vehicle pictured is a Series I Land Rover Discovery, which is a highly-capable off-roader that can be found pretty much anywhere there are highway shoulders, flatbed tow trucks, or junkyards. But wait! 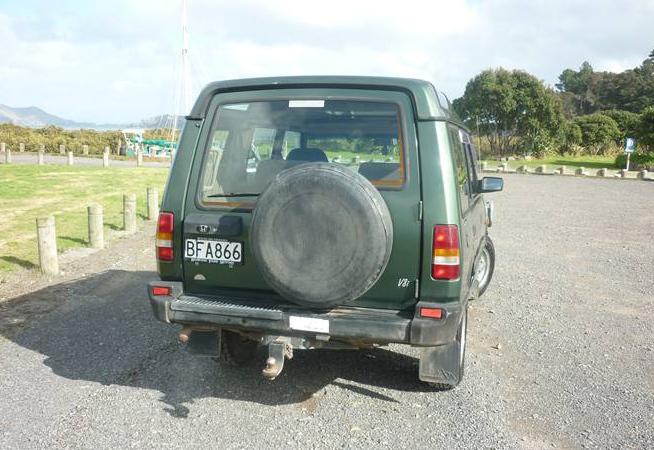 Check the badging again. 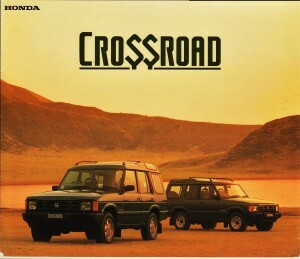 It may look like a Land Rover, but it’s actually a Honda Crossroad, which was sold in Japan (and maybe some other unlucky markets) beginning in 1994. 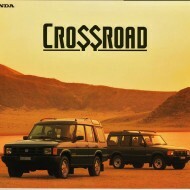 The Crossroad was the result of a completely inexplicable joint venture between Honda and Rover, a British automaker known for financial insolvency and manufacturing vehicles out of compressed rust. 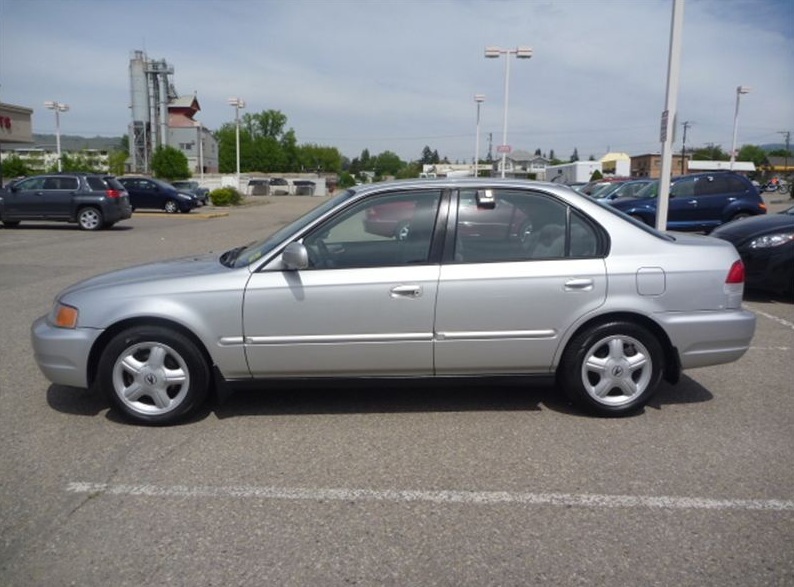 There were a lot of crappy rebadges born from this meeting of the minds – most notably the first-generation Acura Legend, the US-bound Sterling, and a bunch of Honda Civics with Rover emblems – but the Crossroad was probably the ultimate insult to consumer intelligence. Honda didn’t even bother to change the engine from Rover’s 3.9-liter V8, which has a reputation not for torque or horsepower, but rather for sending sons and daughters of Land Rover mechanics to college. If you’re one of the unlucky few with a Crossroad in your garage, don’t let the Honda badge fool you. You’ll still have to check for rust before heading to Pilates.